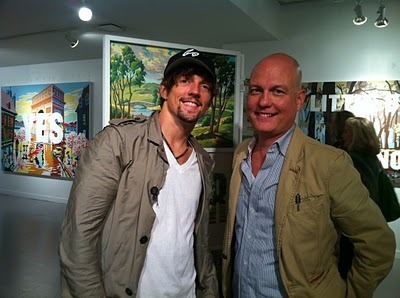 Jason and American Artist Trey Speegle Sept 16 2010 (The Trevor Project). . Wallpaper and background images in the Jason Mraz club tagged: jason mraz photo picture trevor project. This Jason Mraz photo might contain बिजनेस सूट.